Adoption Lawyer State College PA | The Mazza Law Group, P.C. Looking for an adoption lawyer? The day that you finally get to adopt your child or children is one of the most joyous occasions in your life. This is a decision that not only affects you and your immediate family, but those around you. The attorneys at The Mazza Law Group, P.C. work diligently to ensure that this special day is possible not only for you but for the children who are in need of a loving family. Adoption can often seem complicated and daunting. We will be there to walk you through the process, from home study preparation to obtaining the necessary paperwork for clearances. Our attorneys have the experience to help you adopt successfully, whether the adoption is foreign or domestic, stepparent, private or agency, open or closed. Our firm has worked with most agencies in central and eastern Pennsylvania. During this exciting time, it helps to have the guidance of an experienced adoption lawyer you can trust. 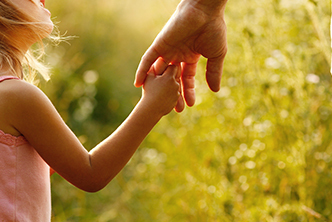 At The Mazza Law Group, P.C., our adoption lawyers are dedicated to helping families like yours. We will handle your case with skill, care, and compassion. Contact us today to find out how we can help your growing family.